Last night I had dinner with my family at Coqbull on French Church Street in the city centre. It's a great place for low carbers to eat because you can easily order without seeming awkward or fussy and the food is really great. 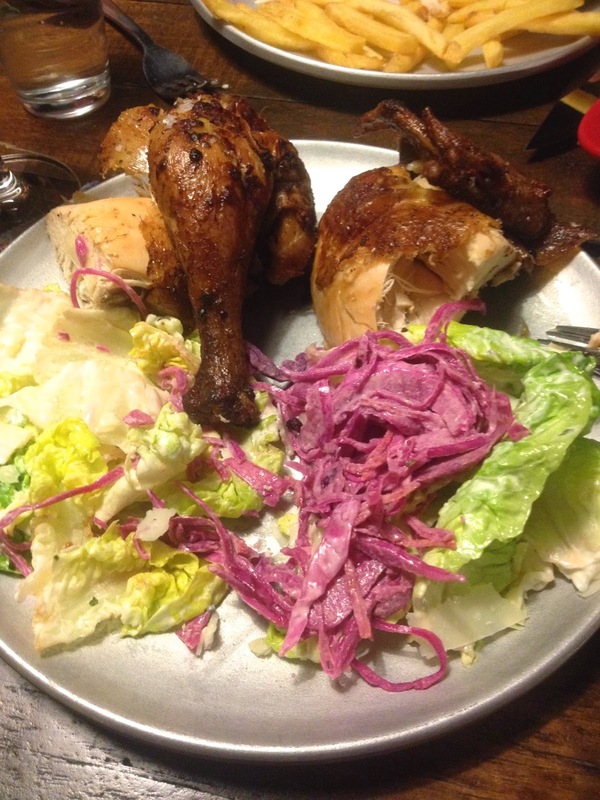 I ordered the half rotisserie chicken, with a caesar salad instead of chips and a side of coleslaw. The meat was really juicy, the skin was crispy and the coleslaw was really tasty. They also have the option of ordering a burger without the bun (no pics, sorry! ), which comes wrapped in a giant lettuce leaf and with a tasty burger sauce. They also ask how you like your burger cooked, which is how it should be. There is a great list of salads on their menu, I'll have to pop in there for lunch some day and report back. You can visit their website here, follow them on Facebook here and on Twitter here.